Welcome to Music Friday when we bring you awesome songs with jewelry, gemstones or precious metals in the title or lyrics. 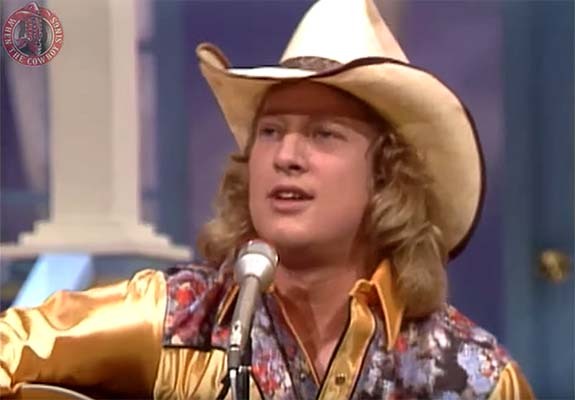 Today, country star John Anderson has fun with a well-worn gemstone myth in his Grammy-nominated 1981 hit, "I'm Just an Old Chunk of Coal (But I'm Gonna Be a Diamond Someday)." In this song written by Billy Joe Shaver, Anderson likens himself to a common chunk of coal, but promises to work hard to rid himself of flaws until he's "blue pure perfect." We're guessing he aspires to be a blue diamond. He sings, "Now I'm just an old chunk of coal / But I'm gonna be a diamond someday / I'm gonna grow and glow till I'm so blue pure perfect / I'm gonna put a smile on everybody's face." "I'm Just an Old Chunk of Coal (But I'm Gonna Be a Diamond Someday)" was released as the first single from the singer's self-titled album, John Anderson 2. The song zoomed to #4 on the Billboard U.S. Hot Country Songs chart and #2 on the Canadian RPM Country Tracks chart. The song also earned Anderson a Grammy nomination for Best Male Country Vocal Performance. While we've all heard about Superman having the power to squeeze a lump of coal into a diamond, and many of us are familiar with the phrase, "a diamond is a chunk of coal that did well under pressure," the concept that coal has the capacity to be turned into a diamond is just a myth. A piece of coal and a diamond are both primarily composed of carbon, but that's largely where the similarity ends. A diamond is made up of pure carbon that was subjected to intense heat and pressure about 100 miles below the earth's surface. Coal, on the other hand, is hardly pure. It is a mix of carbon and organic plant matter. It also contains hydrogen, nitrogen, oxygen, sulfur, arsenic, selenium and mercury. Thereby, no matter how hard Superman squeezed the chunk of coal, there's no way a material with that many impurities would yield a diamond. Trivia: "I'm Just an Old Chunk of Coal (But I'm Gonna Be a Diamond Someday)" is briefly sung by the title character in the 2001 animated film, Jimmy Neutron: Boy Genius. Born in Apopka, Fla., in 1954, John David Anderson grew up admiring rock musicians, but then switched over to country music as a teenager. He moved to Nashville as a 17-year-old and took odd jobs during the day while playing in clubs during the evening. One of his odd jobs was as a roofer at the Grand Ole Opry House. After six years of perseverance, he earned a record deal with Warner Bros. Anderson's career has spanned more than 30 years, during which he's scored more than 40 singles on the Billboard country charts and five number ones. Anderson was inducted into the Nashville Songwriters Hall of Fame in 2014. "I'm Just An Old Chunk Of Coal (But I'm Gonna Be A Diamond Someday)"
Written by Billy Shaver. Performed by John Anderson.